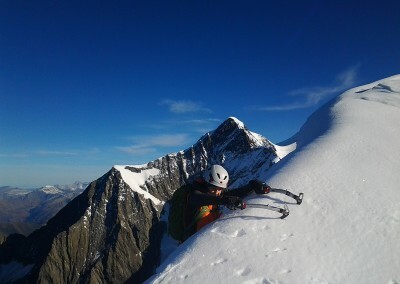 Climbing technical routes on summits of the Alps is an exciting and worthwhile project. 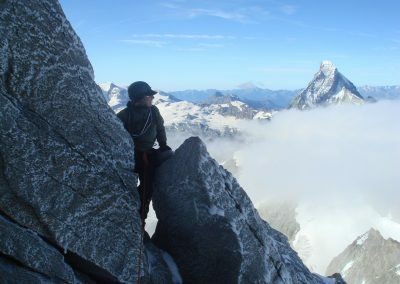 The Aiguille Verte, Weisshorn through any route, Mont Dolent through Gallet or north ridge, the Innominata ridge on Mont-Blanc, the ridges and spurs of Grandes Jorasses, the Cresta Signal on Monte Rosa, the famous Eiger Mittelleggi ridge are good examples of these unforgettable routes. Chamonix Mountain Guide will help you to analyse the conditions before deciding which route is possible, and to reach the bottom of the route with no extra expense of energy due to stress, allowing you to focus on your climbing. Also for the descent you will find it more comfortable to be with a guide. 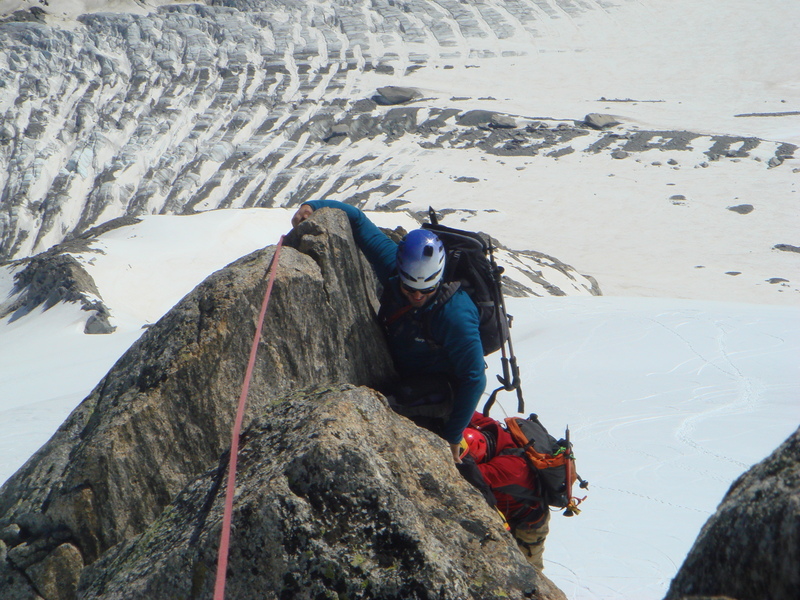 With a guiding ratio of 1:1, these routes require a high level of fitness, previous alpine experience, and confidence on snow, ice and rock. You will usually spend 1 or 2 days with Chamonix Mountain Guide acclimatising and checking skills on a less demanding route before attempting the chosen summit. 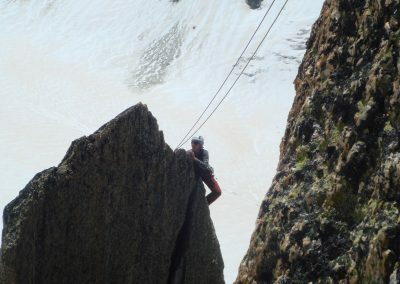 *Chamonix Mountain Guide specialise in designing unique programs for our clients, guiding you on your special projects . Please contact us with your ideas, requests and details of previous experience, and we will be pleased to put together a program for you. Matterhorn is very famous and Chamonix Mountain Guide is happy to guide you on its routes. Those who want to go further and possibly climb all the Alps 4000m summits will find near Chamonix beautiful wild routes, such as integral Brouillard ridge and Aiguille Blanche de Peuterey ridge on the Italian side of Mont-Blanc, traverse of the Aiguilles du Diable leading to Mont-Blanc du Tacul, and the also very famous traverse of the Grandes Jorasses. Chamonix offers an excellent base to acclimatise and to check the confidence on rock or on ice without too much effort, using the lift system. It is also possible to reach many of the Alps valleys within a short journey.